Too insubstantial for the tragedy? About half way through Lion, which tells the astonishing tale of how a foundling finds his mum despite being brought up in a different continent, I wondered what the film was going to say. It was brilliantly done: the direction from Garth Davis (his first feature) is highly promising and the young Saroo (who’s 5 years old ) gets an amazing performance from Sunny Pawar. But the film lacked a focus as it didn’t seem to adding anything to my understanding of the world. The last third of the film filled that absence and spoilers follow. Davis, with the editor Alexandre de Franceschi, links the two worlds – of India and Tasmania – with great skill. Close ups of the protagonists in crowds emphasises the anonymity and massive populations of cities showing how miraculous it would be for Saroo to be reunited with his mother. When, as an adult, he is having a ‘nervous breakdown’ the editing serves to illustrate his memories with graphic (the composition in the frame) and content matches between where he is and the past he is remembering. For example, when he breaks with his girlfriend (Rooney Mara brilliant in a necessarily somewhat passive role of the female encouraging the man) Saroo walks across a bridge (a melodramatic emblem for transition in life) which is matched with a shot of the young Saroo on a bridge. It is a very effective way of dramatizing how memories, which he struggles to recover, can overwhelm after they’d been triggered in a Proustian moment set off by food. Although it is well done, Saroo’s breakdown did cause the narrative to sag and it struck me that this might be a consequence of the difficulties film has of dramatizing small events that encompass a lot of time. Conventionally, as it is here, montage is used to signify this however because screen time is inevitably much shorter than narrative time, it is difficult to emotionally understand the profound mental trauma Saroo, now in his late twenties, was experiencing. A paragraph in a book could convey this much better I suspect. Despite this the film does convincingly demonstrate the strength of familial ties. Even though he’d only been five when he’d lost his family it is clear that Saroo will forever be missing a part of himself if he can’t find them again. Unsurprisingly the reunion is extremely emotional and Dev Patel and Priyanka Bose (mum) are exceptional in the scene. Nicole Kidman must also be mentioned as she is at her brilliant best here as Saroo’s adoptive mum. It is difficult for a star with Kidman’s charisma to convincingly play an ‘ordinary person’ however she does it brilliantly and then we realise that Sue Brierley is anything but ordinary. 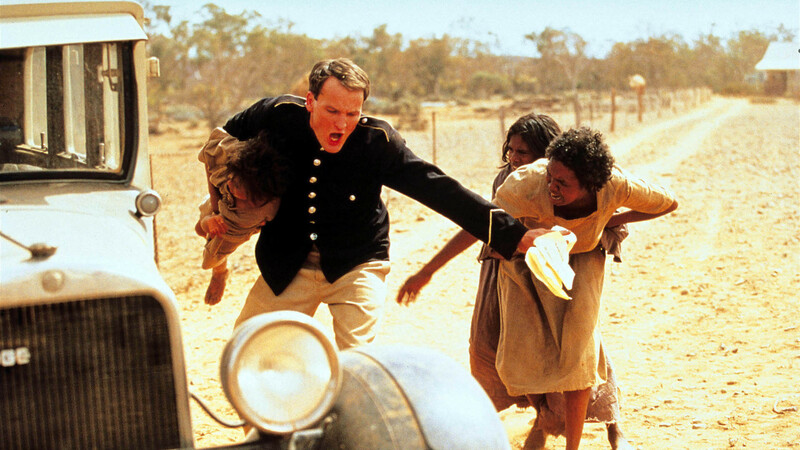 This ‘cry from the heart’ rattled Australia, apart from right-wing apologists, as it dramatised the racist treatment that ‘mixed race’ (‘half-caste’ in the words of the time) children suffered. The true story, set in the 1930s, of three young girls who rebelled against their treatment is intensely shot, Chris Doyle’s cinematography is as ‘out of this world’ as the story, and brilliantly performed. The three youngsters seem naturals for the camera and Kenneth Branagh is suitably stuffed as the ‘Protector’ of the Aborigines. Director Philip Noyce, who made his name with some great films made during the renaissance of Australian cinema in the 1970s, frames the action with striking compositions. He’s equally at home with the drama of action and the necessary slow pace of the girls’ journey. I’ve said very little about the narrative because it is barely believable: an extraordinary tale. The ending is particularly devastating. I’ve seen the film four times now and it improves with age. This is a literally rediscovered film; the editor, Anthony Buckley, tracked down a useable negative which led to this terrific restored digital print. And it was certainly well worth rediscovering. As a teacher, under Education Secretary Gove’s ridiculous rule, I often feel victimised however protagonist John Grant is forced to teach in the outback or pay his $1000 bond back. My predicament pales in comparison. Canadian director, Ted Kotcheff, summarises the Outback with the opening 360-degree pan so we can see he is, literally, in the middle of nowhere. As Sight & Sound put it, such overwhelming spaces entrap more than liberate. On his way to Sydney, for a holiday, Grant gets caught up in a gambling game, in the hope of clearing his debt, which is the prelude to a nightmarish weekend. 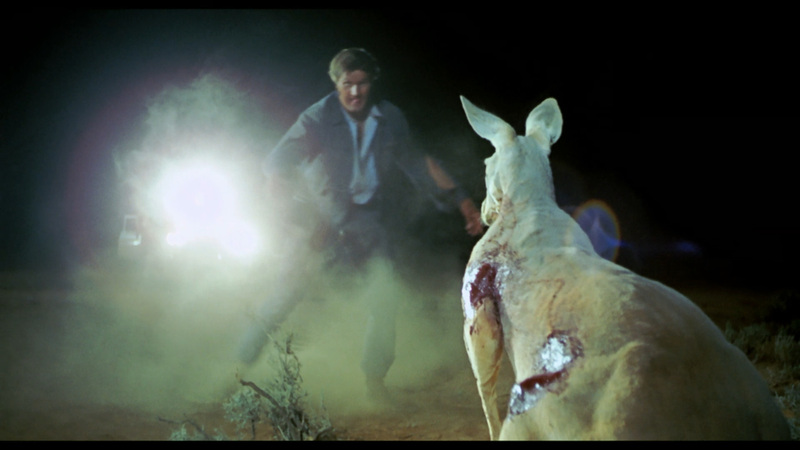 Wake in Fright flopped commercially on its original release, probably because the mirror it holds up to the machismo of the ‘loveable’ Aussie ‘larrikin’ is not flattering. As one character says of Bond: ‘Would he rather talk to a woman than drink beer?’ The character, by the way, is played by that stalwart of the Australian film industry, Jack Thompson, in his first film. Directors of the subsequent Australian ‘new wave’, however, hailed the film’s influence. If you’re interested in Australian cinema, check out the new edition of Senses of Cinema. We follow Bond on his journey where he’s confronted by his bourgeois sensibilities, similar to the narrative of Scorsese’s After Hours (1985) but far more harrowing. Central to this is a kangaroo hunt that is shot as it actually happened (independently of the film it has to be said). A note at the film’s end says that the scene was included after consultation with animal welfare groups; kangaroos are now an endangered species. The brilliant Donald Pleasance lends his malign presences as the Doc, the man who Grant might become. Pleasance’s eyes look demonic without even trying. Another Aussie icon, Chips Rafferty in his final film, plays the local cop who takes Grant under his wing when he first arrives in the ‘city’ (really a town). It’s a classic western scene, a stranger in town entering a bar but the ‘sheriff’ plies our protagonist with beer rather than warning him to behave. 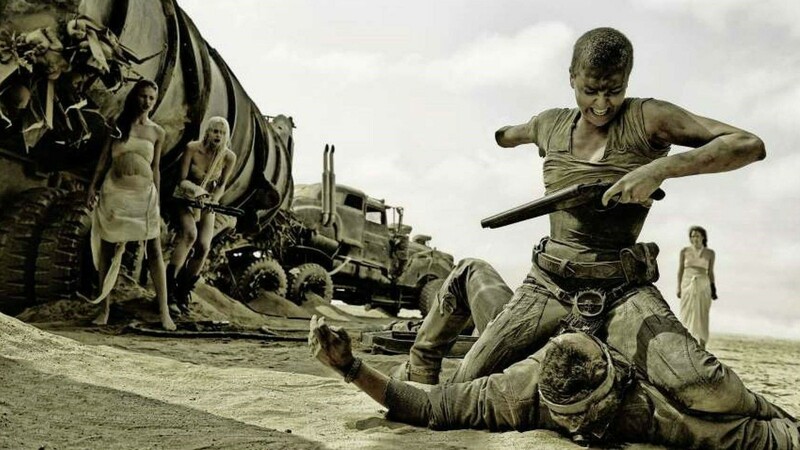 It’s such moments that play against expectation, later it’s the sexual tension between Grant and the daughter of another deranged character, that make the film as unsettling as it is. It’s one of the few films to have played Cannes twice; on its release and, in 2009. If you’re after a nightmare ride or want to catch a missing movie of Australian cinema, here’s your chance.